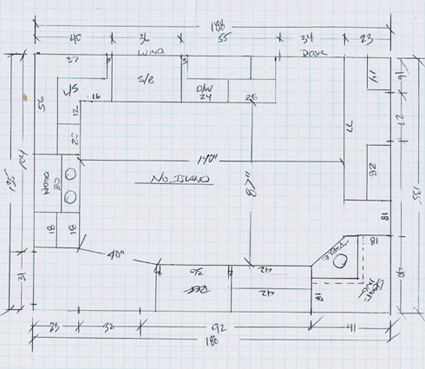 Email us your plans for a Free Estimate: Send your floor plans to support@plan3d.com. We accept PDF, JPG, etc. Look Over the Estimates: Decide on the Basic or Complete Plan and check the delivery date. Reply to Our Email and We'll Get to Work: Tell us if you want the Basic or Complete Plan and we'll get started. 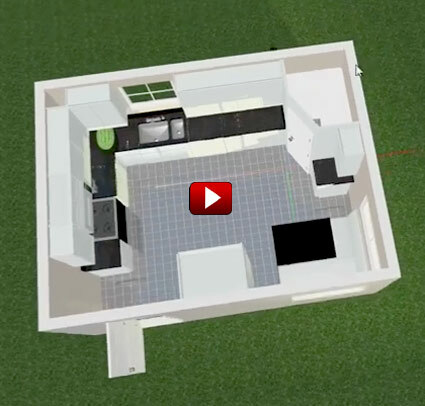 Finished 3D Plan: Our experts convert your floor plans to 3D and email you finished 3D plans you can view and edit. Edit and View Your Plans in Plan3D: A free two-month subscription to the full version of Plan3D included. 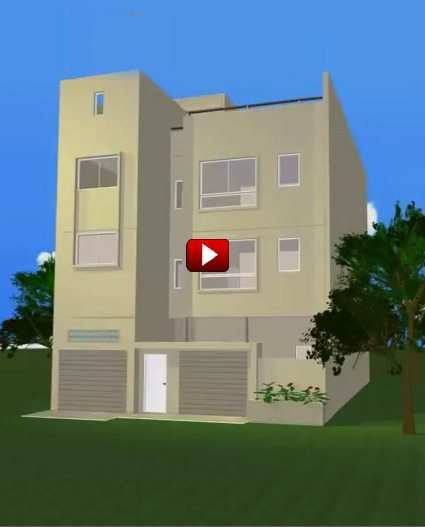 View Your Plans in Lifelike 3D: Walk or fly through your plans using your free subscription. View from any angle. Take snapshots. Edit Your Plans: Modify plans. Paint rooms, add or change flooring like carpet or tile, delete walls, change walls to brick or siding, add extensions, etc. Free YouTube Video: We also send you a 3D fly-around YouTube video of your plans like the ones on this page. Affordable: Basic Plan 4 cents a square foot or 43 cents a square meter. Complete plan 7.5 cents a square foot or 79 cents a square meter. Min. charge of $65 USD. Complex plans will cost more. Acceptable Floor Plan Formats: When requesting a free estimate email us your floor plans in PDF (preferred), JPG, GIF, PNG, or DWG. Floor plans and sketches need to have readable dimensions. System Requirements: Plan3D requires Windows XP, Vista, 7, 8, 9 or 10 - or a Macintosh running Native windows with Parallels. Detailed System Requirements. Note: Plan3D will not run a standard Macintosh. Satisfaction Guarantee: Your 3D plan will match your 2D floor plan or we'll fix it absolutely free! If we do have to fix it, your project will get top priority until it's finished! Delivery Date: A guaranteed delivery date is included with estimates. We'll email you your 3D plans, Free Subscription to Plan3D, and YouTube video, on or before this date. Below are a few 2D plans people have sent us and the resulting 3D homes we've created for them so you can get an idea of what it costs and what we need to work from. We do either a Basic plan which is the complete structure without the cabinets, appliances or fixtures, or a Complete plan with everything. When you email us plans for a free estimate tell us what you want and we'll give you an estimate that matches your needs. Below are YouTube videos of the floor plans shown (left.) Click here to see a huge gallery of homes plans converted to 3D. We do small and large buildings and homes. We also do rooms such as basements, and kitchens. We work in metric and feet/inches. Click here to see a huge gallery of homes plans converted to 3D. Click here to see a huge gallery of homes plans converted to 3D. Some plans like this one require extra work to do all the details so the price is adjusted to compensate for that. You can see how much extra work is involved. Click here to see a huge gallery of homes plans converted to 3D. We do plans in metric or U.S. measurements. 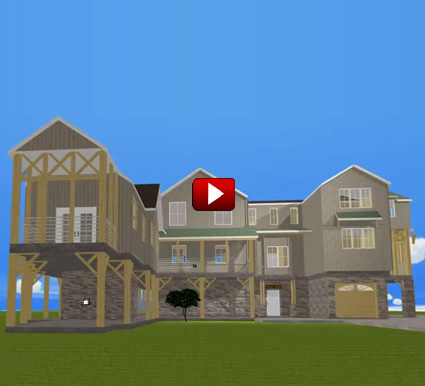 Click here to see a huge gallery of homes plans converted to 3D.